In the wake of growing concern over the safety measures for spectators in the ball parks against foul balls and broken bats vis-à-vis providing fans with the more excitement of the games, the Japan Sports Law Association convened a seminar in Tokyo on June 6, 2015 when Takao OHASHI, attorney of sports law, intellectual property and entertainment law, delivered a report on court cases, analysis of damage claims and counter arguments. 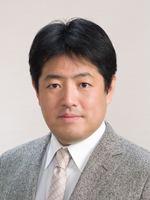 He also serves as director of the Japan Student Baseball Association. The Sapporo District Court handed down an unprecedented decision on March 26, 2015 to the Hokkaido Nippon Ham Fighters professional baseball team, Sapporo Dome Co. and the city of Sapporo to compensate a female spectator who was blinded in one eye when she was hit by a line drive at a ball game (about $350,000). The defendants appealed the ruling. In damage suits over similar accidents, other courts, including the Sendai District Court, attached more importance on excitement for baseball spectators and refused to recognize the insufficiency of safety measures at stadiums, thereby dismissing plaintiffs' demands for compensation.